The recent death of a young Arkansas woman from the H1N1 flu virus is not just a testament of how traditionally innocuous illnesses can pose serious threats during pregnancy. Instead, it is an essential lesson illuminating the necessity of flu vaccinations for pregnant women. The CDC recommends the flu shot as the first and most important step in protecting against flu. Pregnancy induces changes in a woman s body that strains the heart and lungs. Moreover, the initial stage of pregnancy presents a distinct shift in the maternal-fetal microenvironment. Higher levels of the steroid hormone, progesterone, have an anti-inflammatory effect in order to accept the semi-foreign fetus. This in turn leaves the mother highly susceptible to severe illness when infected with pathogens like the H1N1 virus, as she is likely to be less able to mount an effective immune response. As such, a flu shot reduces the likelihood of a pregnant woman contracting the infection, and tends to reduce its severity even if contracted. Influenza among pregnant women is associated with a significantly increased risk of both fetal and maternal complications (including miscarriage, premature birth, and low birth weight), and protects the baby after birth. Even more comforting is evidence that suggests women mount a higher antibody response to vaccines, better protecting themselves and their baby. Antibodies developed in response to a flu vaccination can pass through the placenta and protect the baby. This is an effective strategy to prevent the flu in newborn infants, as they are unable to receive the flu vaccine until 6 months after birth. ACSH s Dr. Gilbert Ross adds, We discussed this very point not long ago: flu vaccine is an essential part of the general approach to helping moms-to-be have a safe and healthy pregnancy and enhances the likelihood of a healthy newborn. It s tragic that the young wife and mother-to-be in Arkansas got such bad advice from her doctor, but her death may help educate others. 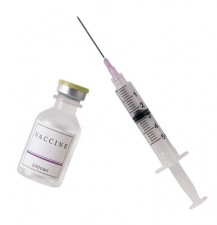 No research to date supports adverse effects of the flu vaccine to the mother or her child. Pregnant women must then seek vaccination early in the flu season regardless of gestational age. And physicians should be communicating this information to their pregnant patients.